We're designing a new home in Cherrywood right now for an empty-nest couple looking for a home they can live in affordably for the long haul. At roughly 1,300 s.f., it's pretty compact, but it's designed to live large with open spaces and two great porches. Both the main house and the 450 s.f. 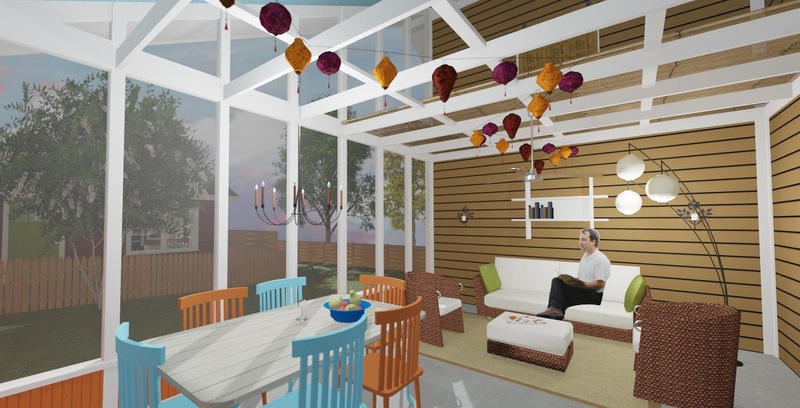 rental unit in the back yard are being designed for accessibility, which will allow our clients and their tenants flexibility over the years. 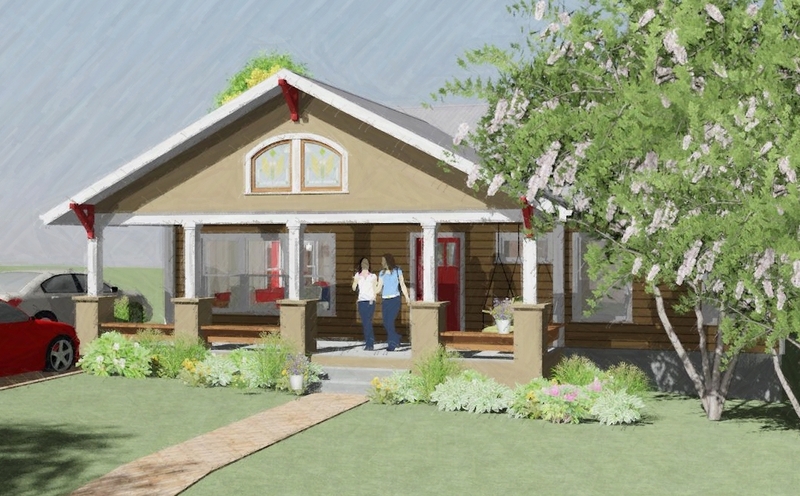 The front porch adds lots of living/social space to the house and helps it to blend right into the neighborhood. Here's another kitchen that fits our philosophy of "fitting like a mitten"- it's loose and flexible to accommodate decades of use and change, whether it's for two people or 20 guests. The screened porch on the back adds more flexibility for dining, sitting, and partying. From the aerial view, you can see the 450 s.f. rental cottage at the back of the lot. It's designed for accessibility, just like the main house. Having an income property will add a lot of options for our clients over the years. Looking onto the back yard, there's a screened porch with a soaring roofline to give the house a great look at the sky and trees and to catch more breeze.